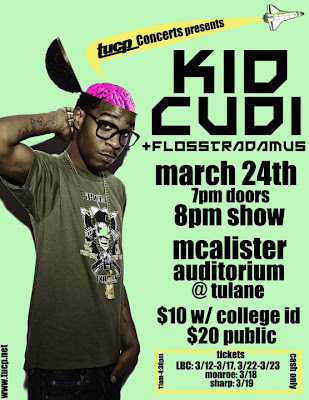 ashlee nicole spills | blog: KiD CuDi Performing LIVE @ Tulane. Tickets are on sale in the LBC 3.15 - 3.19 and 3.22 - 3.23 from 11A - 4:30P. You can also purchase them online at www.tucp.musictoday.com.